Since July 2008 we are an established ASI Distributor. We can provide 780,000 different ad specialty products for events and organizations of any kind! 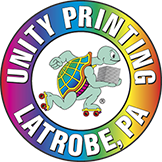 Call Charley @ 724-836-7777 to discuss your ad specialty order!